A gamer's paradise offering immersion and escape throughout the workplace. Based on FutureSpace’s successful and highly publicised projects such as Google, Wotif Group and McCann, Riot Games appointed FutureSpace to design their new Oceania region base located in Sydney’s CBD fringe. Riot Games, a US based online gaming company is renowned for their ‘League of Legends’ game which has become the most played online game worldwide. The brief was to create a space that captures Riot Games’ core values, reflect the ‘Riot’ Manifesto which focuses on the player experience, and attract and retain the industry’s best and most talented people. 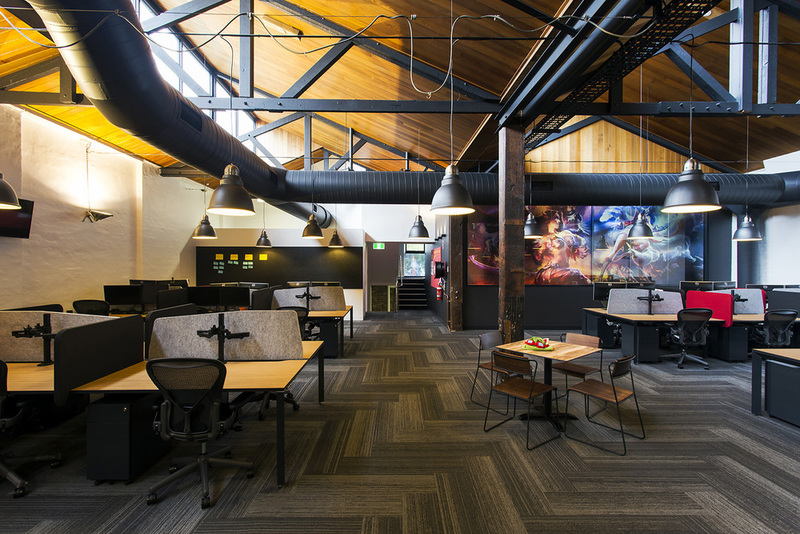 FutureSpace designed a workplace for Riot Games that lives and breathes the culture of gaming. 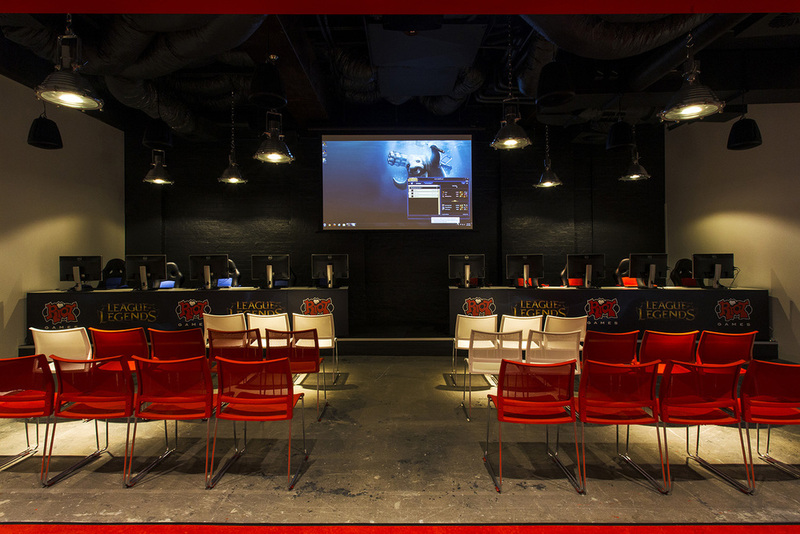 Located in a multi-level converted warehouse, the Riot Games' Oceania office is home to the Riot team, broadcast studio and a multi-functional "Mini Urf" event space for hosting gaming events and competitions. The workplace features collaborative hubs and quiet nooks which serve as an extension of the social culture. Large scale supergraphics and mirrors transform the space and act as an overlay to the gaming graphics and visuals. Visitors and staff are met at reception by a dominating backdrop; an impressive two storey graphic of the infamous‘League of Legends’ dragon. Gaming memes appear at every corner setting the scene of immersion and escape for visitors and staff alike. A striking colour palette of deep charcoal, crisp white and the signature ‘Riot’ red punctuate the space and is highlighted with bold finishes and materials.